ReAgentC: After removing drive letter and setting GPT partition ID/attributes WIM is no longer accesible. Do I have to manually mount the recovery partition every time I want to create a recovery media? The Create Recovery Media utility works fine. I just ran it as a test, and it does not unhide the recovery partition at any time during the media creation process. So that partition being hidden is not a problem. I took a screenshot showing Disk Management after the utility created the recovery on USB. Are you using Windows 8.1? If so, was it original 8.0 and updated through the Store? I notice that in some cases, an 8.0 original, updated to 8.1 may show errors relating to recovery. For example, if you try to run recovery, it says no recovery partition present and to insert media! But when 8.1 originally came out, you could run recovery immediately after without having to insert a disc. Something changed over that time period... perhaps it is related to a Windows Update somewhere. Anyways, if your PC is in this category, it is possible that it is related, and recovery media cannot be made as normal. Would you please share the main purpose of this operation with us ?If it is possible ,please post the whole process you have performed .We will make a test. The main purpose of this operation was to re-enable the recovery disk creation tool to create recovery media after the partition table was modified. As the offsets no longer match I have to reconfigure reagentc to be able to locale both the recovery environment and the os recovery images. The fact is that I managed to get it to work until I unmounted the volumes containing the images and added the correct partition type ID and attributes. Therefore the question should I leave the volumes containing the recovery images mounted and with generic partition type/attributes for reagentc to work? In a deployment scenario, all reagentc commands are run before using diskpart to hide the partition. Ok and that is what I did but after "hiding" partitions reagentc is no longer able to locale the recovery images and cannot be enabled. It only works before applying the attributes/typeid to the partition (but not after). What I am trying to understand is if this is the expected behavior or am I missing something? Then what is the point of the "create recovery media" utility? 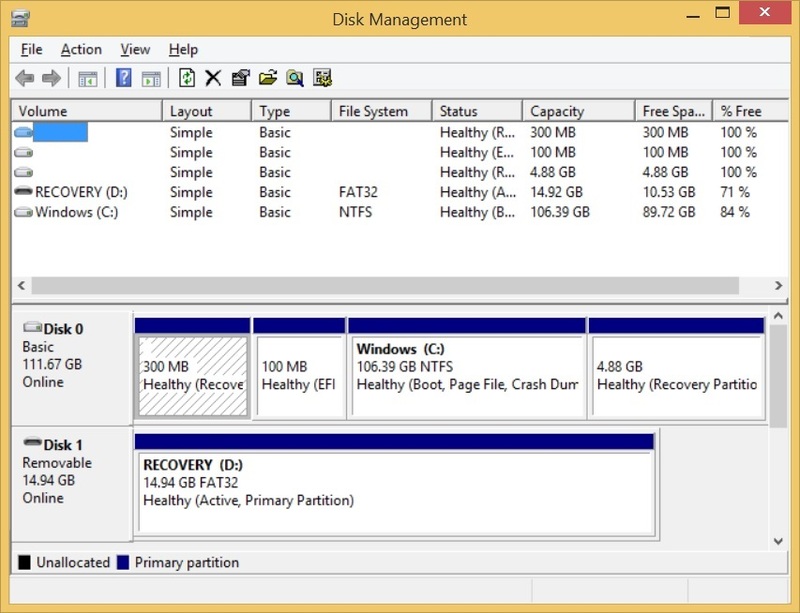 If the partition comes hidden by default the utility is pointless for the average user as it cannot access the recovery partitions to read both the OS recovery image and the WinRe image and therefore the recovery media cannot be created. Are you sure this is expected? Then why the partition offsets are stored in the ReAgent.xml together with the HDD GUID? It turns out the Automount is disabled. Do diskpart, automount enable and reboot.